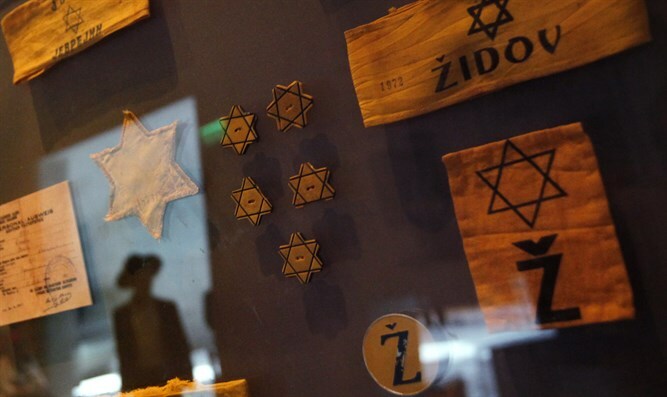 Hungary’s controversial $22 million Holocaust museum enters 3rd year of disuse. Mazsihisz said it would have nothing to do with the state-funded museum because of the appointment of the historian Maria Schmidt to head it. Schmidt has said Nazism was no worse than Soviet communism — a narrative favored by nationalists across Eastern Europe that the Simon Wiesenthal Center classifies as a form of Holocaust distortion. Mazsihisz briefly suspended its work with the government of Prime Minister Viktor Orban on all Holocaust commemoration projects in 2014 over a statue commissioned by the government that was unveiled in Budapest. “The Occupation Monument” depicts an eagle attacking an angel — symbolism that Mazsihisz said whitewashes the complicity of the Hungarian authorities for the murder of hundreds of thousands of Jews in the Holocaust. The House of Fates is located at the Józsefváros Railway station, where the transports had departed to death camps during World War II. Seeking to avoid another public row with the Mazsihisz and international Jewish groups and institutions that supported its fight with the government, Orban sought to negotiate a working arrangement with the Jewish community that would allow it to become a part of the House of Fates, 444 reported. János Lázár, Orban’s right-hand man and a senior Cabinet minister, said in 2014 that the government will only open the museum if a consensus is reached. Schmidt openly criticized Lazar in a Facebook post for “obstructing the opening” of House of Fates. The historian attributed this to the influence of Gusztáv Zoltai, the former leader of Mazsihisz, whom Lázár used as an adviser on the issue. According to the expose, the fight between Lazar and Schmidt has further complicated efforts to open the House of Fates to the public.